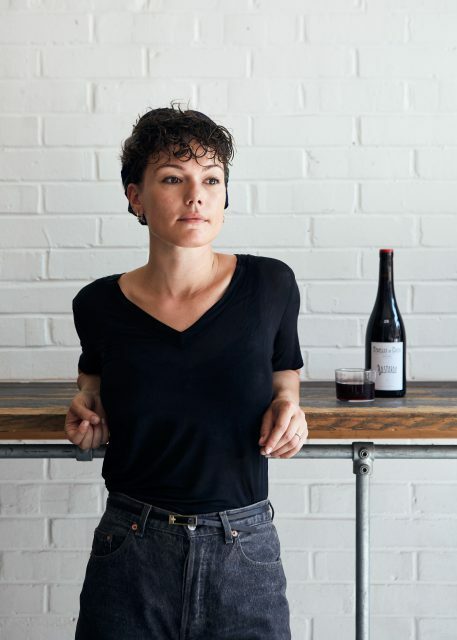 Despite seeing the world of wine as a mammoth subject, this up-and-coming sommelier has thrown herself into the global dining scene in the past decade. Spencer began her hospitality career with a bartending stint at Jamie Oliver’s Fifteen after graduating from Kingston University with a 2:1 in International Business with languages, which gave her the chance to spend part of her education studying French literature in Paris. It is often said that one falls into the wine industry, and so it seemed for Spencer. Her break came when one of the sommeliers was ill and she was asked to stand in. Soon after, the company offered to pay for her to go through the WSET. She achieved her Level 3 while still working with the Jamie Oliver Group, before going on to join Sager + Wilde in 2013. An avid traveller, her love of wine was sparked by a bottle of 2002 Pascal Doquet Grand Cru Champagne she found while backpacking through New Zealand at the start of her career. Spencer’s job has taken her across the globe, helping diners select wines everywhere from Italian haunt 10 William Street in Sydney – a position she secured in 2016 – to Copenhagen wine bar Den Vandrette, where she worked as general manager for almost two years. Her time in Denmark saw her be spotted by the team at acclaimed restaurant Noma, and in 2017 she travelled to Mexico to undertake a three-month stint at the group’s Mexican pop-up. Spencer joined Nuala in June 2017, and is an advocate of lesser-known grapes, telling Wine List Confidential that one of her main bugbears are guests who refuse to step out of their comfort zone when choosing from the menu. Her pursuit of the unique and exciting earned her the position of wine curator for Camp Kerala, a hospitality firm that provides glamping facilities for music festivals including Glastonbury. While Nuala closed in Janaury of this year, Spencer remains a key influencer in London’s wine scene. She now helps the buying team at Abel & Cole, and teamed up in July with former Nuala chef Anaïs Van Manen to launch East-meets-West fusion pop-up Bastarda in Hackney Wick. She is also working with the owners of Michelin-starred Shoreditch restaurant Lyle’s to open a bakery that doubles as a wine bar called Flor. We can expect more daring combinations from this rising star in the years to come.